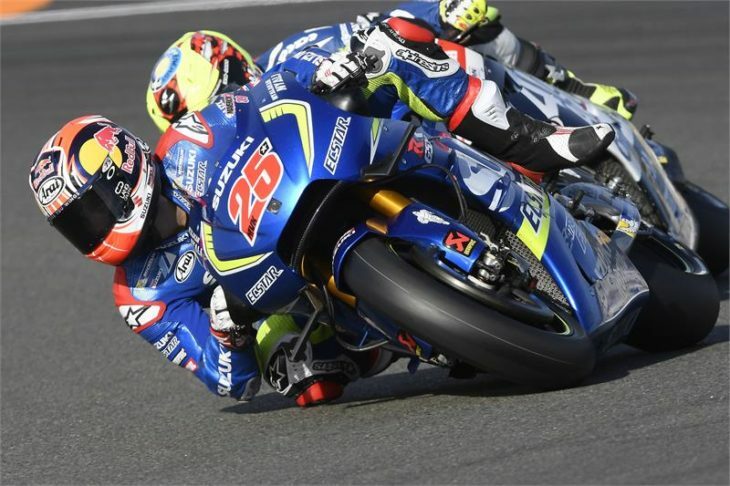 Maverick Viñales will start tomorrow’s final Grand Prix of the season from the head of the second row following an exciting final qualifying for the Gran Prix de la Comunitat Valenciana in Spain today, as team-mate Aleix Espargaró was unlucky to slip-off in the closing stages. Both Team SUZUKI ECSTAR riders continued their strong form of the weekend and were always in the top positions, both qualifying directly to Q2 from the morning’s FP3, where they finished second and seventh respectively aboard their GSX-RRs. In the all-important 15-minute Q2, that saw the lap-record smashed, both riders continued their strong performances, with Viñales posting a best lap of 1’30.276 on his eighth and final lap. However, Espargaró was unfortunate to slide off as he was about to begin his sixth flying-lap and ran out of time to set a better position than the third row.